This article is about the planned Nazi invasion of Britain. For the 1974 wargame based on this plan, see Operation Sea Lion (wargame). Operation Sea Lion, also written as Operation Sealion   (German : Unternehmen Seelöwe), was Nazi Germany's code name for the plan for an invasion of the United Kingdom during the Battle of Britain in the Second World War. Following the Fall of France, Adolf Hitler, the German Führer and Supreme Commander of the Armed Forces, hoped the British government would seek a peace agreement and he reluctantly considered invasion only as a last resort if all other options failed. As a precondition, he specified the achievement of both air and naval superiority over the English Channel and the proposed landing sites, but the German forces did not achieve either at any point during the war, and both the German High Command and Hitler himself had serious doubts about the prospects for success. A large number of barges were gathered together on the Channel coast, but, with air losses increasing, Hitler postponed Sea Lion indefinitely on 17 September 1940 and it was never put into action. The Battle of Wuhan, popularly known to the Chinese as the Defense of Wuhan, and to the Japanese as the Capture of Wuhan, was a large-scale battle of the Second Sino-Japanese War. Engagements took place across vast areas of Anhui, Henan, Jiangxi, Zhejiang, and Hubei provinces over a period of four and a half months. This battle was the longest, largest and arguably the most significant battle in the early stages of the Second Sino-Japanese War. More than one million National Revolutionary Army troops from the Fifth and Ninth War Zone were put under the direct command of Chiang Kai-shek, defending Wuhan from the Central China Area Army of the Imperial Japanese Army led by Shunroku Hata. Chinese forces were also supported by the Soviet Volunteer Group, a group of volunteer pilots from the Soviet Air Forces. The Franco-Polish alliance was the military alliance between Poland and France that was active between 1921 and 1940. During the interwar period the alliance with Poland was one of the cornerstones of French foreign policy. Near the end of that period, along with the Franco-British Alliance, it was the basis for the creation of the Allies of World War II. The military alliance between the United Kingdom and Poland was formalised by the Anglo-Polish Agreement in 1939 and subsequent addenda of 1940 and 1944, for mutual assistance in case of military invasion from Germany, as specified in a secret protocol. Erich Johann Albert Raeder was a German admiral who played a major role in the naval history of World War II. Raeder attained the highest possible naval rank—that of Grand Admiral — in 1939, becoming the first person to hold that rank since Henning von Holtzendorff. Raeder led the Kriegsmarine for the first half of the war; he resigned in 1943 and was replaced by Karl Dönitz. At the Nuremberg Trials he was sentenced to life in prison but was released early due to failing health. Hans-Jürgen "Hansjürgen" Rudolf Reinicke was a Kapitän zur See, commander of heavy cruiser Prinz Eugen, in Nazi Germany's Kriegsmarine during the Second World War and recipient of the Knight's Cross of the Iron Cross. Eliminating or sealing off Royal Navy forces from the landing and approach areas. Eliminating the Royal Air Force. Destroying all Royal Navy units in the coastal zone. The Royal Navy Submarine Service is one of the five fighting arms of the Royal Navy. It is sometimes known as the Silent Service, as the submarines are generally required to operate undetected. Joseph Beppo Schmid Born 24 September 1901, Died 30 August 1956, was a German General serving in the Luftwaffe during World War II and recipient of the Knight's Cross of the Iron Cross, awarded by Nazi Germany for successful military leadership. The RAF was to be "beaten down in its morale and in fact, that it can no longer display any appreciable aggressive force in opposition to the German crossing". The English Channel was to be swept of British mines at the crossing points, and the Strait of Dover must be blocked at both ends by German mines. The coastal zone between occupied France and England must be dominated by heavy artillery. The Royal Navy must be sufficiently engaged in the North Sea and the Mediterranean so that it could not intervene in the crossing. British home squadrons must be damaged or destroyed by air and torpedo attacks. 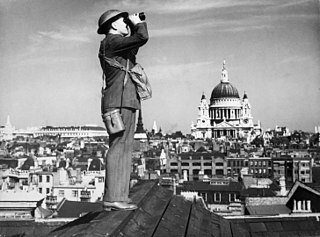 The Battle of Britain began in early July 1940, with attacks on shipping and ports in the Kanalkampf which forced RAF Fighter Command into defensive action. In addition, wider raids gave aircrew experience of day and night navigation, and tested the defences. [ citation needed ] On 13 August, the German Luftwaffe began a series of concentrated aerial attacks (designated Unternehmen Adlerangriff or Operation Eagle Attack) on targets throughout the United Kingdom in an attempt to destroy the RAF and establish air superiority over Great Britain. The change in emphasis of the bombing from RAF bases to bombing London, however, turned Adlerangriff into a short-range strategic bombing operation. The most daunting problem for Germany in protecting an invasion fleet was the small size of its navy. The Kriegsmarine, already numerically far inferior to Britain's Royal Navy, had lost a sizeable portion of its large modern surface units in April 1940 during the Norwegian Campaign, either as complete losses or due to battle damage. In particular, the loss of two light cruisers and ten destroyers was crippling, as these were the very warships most suited to operating in the Channel narrows where the invasion would likely take place. Most U-boats, the most powerful arm of the Kriegsmarine, were meant for destroying ships, not supporting an invasion. Although the Royal Navy could not bring the whole of its naval superiority to bear—as most of the fleet was engaged in the Atlantic and Mediterranean—the British Home Fleet still had a very large advantage in numbers. It was debatable whether British ships were as vulnerable to enemy air attack as the Germans hoped. During the Dunkirk evacuation, few warships were actually sunk, despite being stationary targets. The overall disparity between the opposing naval forces made the amphibious invasion plan extremely risky, regardless of the outcome in the air. In addition, the Kriegsmarine had allocated its few remaining larger and more modern ships to diversionary operations in the North Sea. The fleet of defeated France, one of the most powerful and modern in the world, might have tipped the balance against Britain if it had been captured by the Germans. However, the pre-emptive destruction of a large part of the French fleet by the British at Mers-el-Kébir, and the scuttling of the remainder by the French themselves at Toulon two years later, ensured that this could not happen. Even if the Royal Navy had been neutralised, the chances of a successful amphibious invasion across the Channel were remote. The Germans had no specialised landing craft, and would have had to rely primarily on river barges to lift troops and supplies for the landing. This would have limited the quantity of artillery and tanks that could be transported and restricted operations to times of good weather. The barges were not designed for use in open sea and, even in almost perfect conditions, they would have been slow and vulnerable to attack. There were also not enough barges to transport the first invasion wave nor the following waves with their equipment. The Germans would have needed to immediately capture a port in full working order, a highly unlikely circumstance considering the strength of the British coastal defences around the southeastern harbors at that time and the likelihood the British would have demolished the docks in any port from which they had to withdraw. The British also had several contingency plans, including the use of poison gas. Invasion barges assembled at the German port of Wilhelmshaven. A Pionierlandungsboot [ de ]. Recognising the need for an even larger craft capable of landing both tanks and infantry onto a hostile shore, the Kriegsmarine began development of the 220-ton Marinefährprahm (MFP) but these too were unavailable in time for a landing on British soil in 1940, the first of them not being commissioned until April 1941. Providing armour support for the initial wave of assault troops was a critical concern for Sea Lion planners and much effort was devoted to finding practical ways of rapidly getting tanks onto the invasion beaches. Though the Type A barges could disembark several medium tanks onto an open beach, this could be accomplished only at low tide when the barges were firmly grounded. The time needed for assembling the external ramps also meant that both the tanks and the ramp assembly crews would be exposed to close-quarter enemy fire for a considerable time. A safer and faster method was needed and the Germans eventually settled on providing some tanks with floats and making others fully submersible. The German Army High Command ( Oberkommando des Heeres , OKH) originally planned an invasion on a vast scale by landing over forty divisions from Dorset to Kent. This was far in excess of what the Kriegsmarine could supply, and final plans were more modest, calling for nine divisions to make an amphibious assault on Sussex and Kent with around 67,000 men in the first echelon and an airborne division to support them. The chosen invasion sites ran from Rottingdean in the west to Hythe in the east. One complication was the tidal flow in the English Channel, where high water moves from west to east, with high water at Lyme Regis occurring around six hours before it reaches Dover. If all the landings were to be made at high water across a broad front, they would have to be made at different times along different parts of the coast, with the landings in Dover being made six hours after any landings in Dorset and thus losing the element of surprise. If the landings were to be made at the same time, methods would have to be devised to disembark men, vehicles and supplies at all states of the tide. That was another reason to favour landing craft. The huge 21 cm K12 railway gun was only suitable for bombarding targets on land. The OKW, RSHA, (the Reichssicherheitshauptamt) and Foreign Ministry compiled lists of those they thought could be trusted to form a new government along the lines of that in occupied Norway. The list was headed by Oswald Mosley. The RSHA also felt that Harold Nicolson might prove useful in this role. OKW also expected to face armed civilian resistance. Franz Six was convicted during the Nuremberg trials. There is a large corpus of works set in an alternate history where the Nazi invasion of Great Britain is attempted or successfully carried out. Operation Herkules was the German code-name given to an abortive plan for the invasion of Malta during World War II. Through air and sea landings, the Italians and Germans hoped to eliminate Malta as a British air and naval base and secure an uninterrupted flow of supplies across the Mediterranean Sea to Axis forces in Libya and Egypt. Operation Green often also referred to as Case Green or Plan Green, was a full-scale operations plan for a Nazi German invasion of Ireland in support of Operation Sea Lion, the invasion of the United Kingdom, during World War II. Despite its detailed nature, Operation Green is thought to have been designed only as a credible threat, a feint, not an actual operation. Plan W, a planned occupation of all of the Free State by the British Armed Forces, was drafted by the British military in secret liaison with the Irish government to counteract any German invasion. The Graf Zeppelin-class aircraft carriers were four German Kriegsmarine aircraft carriers planned in the mid-1930s by Grand Admiral Erich Raeder as part of the Plan Z rearmament program after Germany and Great Britain signed the Anglo-German Naval Agreement. They were planned after a thorough study of Japanese carrier designs. German naval architects ran into difficulties due to lack of experience in building such vessels, the situational realities of carrier operations in the North Sea and the lack of overall clarity in the ships' mission objectives. Fliegerführer Atlantik was a World War II Luftwaffe naval command dedicated to maritime patrol. Operation Regenbogen was the sortie in 1942 into the Arctic Ocean by warships of Nazi Germany's Kriegsmarine (navy) during World War II. This operation culminated in the Battle of the Barents Sea. The Siebel ferry (Siebelfähre) was a shallow-draft catamaran landing craft operated by Germany's Wehrmacht during World War II. It served a variety of roles in the Mediterranean, Baltic and Black Seas as well as along the English Channel. They were originally developed for Operation Sea Lion in 1940, the cancelled German invasion of England. Siebel ferries continued performing useful service even after the war's end in 1945. Johann Günther Lütjens was a German Admiral whose military service spanned more than thirty years and two world wars. Lütjens is best known for his actions during World War II and his command of the battleship Bismarck during its foray into the Atlantic Ocean in 1941. In its aftermath, the episode entered into naval legend. Operation Sea Lion was a major wargame conducted at Royal Military Academy Sandhurst in 1974. Its aim was to find out what might have happened had Nazi Germany launched Operation Sea Lion, their planned invasion of southeast England during World War II, in September 1940. The wargame was organized by the Daily Telegraph and Dr Paddy Griffith from the Department of War Studies at Sandhurst. The British umpires were Air Chief Marshal Christopher Foxley-Norris, Rear Admiral Teddy Gueritz and Major General Glyn Gilbert. The German umpires were General Adolf Galland (air), Admiral Friedrich Ruge (naval) and General Heinrich Trettner (land). After the game's conclusion, the umpires unanimously concluded that the invasion was a devastating defeat for the German invasion force. There is much speculation on the possible results of a German victory at the Battle of Britain including how the war might have progressed if the Germans had achieved their objective of suppressing the British air defences. The Battle of Britain is the name given to the Second World War air campaign waged by the German Air Force (Luftwaffe) against the United Kingdom during the summer and autumn of 1940. 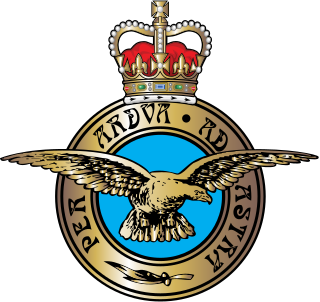 The objective of the campaign was to gain air superiority over the Royal Air Force (RAF), especially Fighter Command. Erich Johann Albert Raeder was a naval leader in Germany before and during World War II. This article covers Raeder's life as the Großadmiral up to the start of World War II. Raeder attained this naval rank, the highest possible, in 1939, becoming the first person to hold that rank since Alfred von Tirpitz. Raeder led the Kriegsmarine for the first half of the war; he resigned in 1943 and was replaced by Karl Dönitz. He was sentenced to life in prison at the Nuremberg Trials, but was released early due to failing health. Raeder is also well known for dismissing Reinhard Heydrich from the Reichsmarine in April 1931 for "conduct unbecoming to an officer and a gentleman". Erich Johann Albert Raeder was a naval leader in Germany who played a major role in the Naval history of World War II. Raeder attained the highest possible naval rank—that of Großadmiral — in 1939, becoming the first person to hold that rank since Alfred von Tirpitz. Raeder led the Kriegsmarine for the first half of the war; he resigned in 1943 and was replaced by Karl Dönitz. He was sentenced to life in prison at the Nuremberg Trials, but was released early due to failing health. Raeder is also well known for dismissing Reinhard Heydrich from the Reichsmarine in April 1931 for "conduct unbecoming to an officer and a gentleman". Erich Johann Albert Raeder was a naval leader in Germany before and during World War II. Raeder attained the highest possible naval rank—that of Großadmiral — in 1939, becoming the first person to hold that rank since Alfred von Tirpitz. Raeder led the Kriegsmarine for the first half of the war; he resigned in 1943 and was replaced by Karl Dönitz. He was sentenced to life in prison at the Nuremberg Trials, but was released early due to failing health. 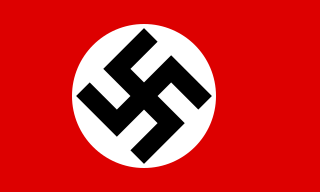 ↑ Führer Directive 16 Archived 17 March 2014 at the Wayback Machine , 16 July 1940. ↑ Cruickshank, Dan. "The German Threat to Britain in World War Two". BBC History. Archived from the original on 15 May 2017. Retrieved 7 May 2017. ↑ "Operation Sealion – History Learning Site". The History Learning Site. Archived from the original on 29 May 2017. Retrieved 7 May 2017. ↑ Deighton 1996, pp. 23–26. ↑ Overy 2013 , p. 68, Directive No. 9 – Instructions For Warfare Against The Economy of the Enemy Archived 4 March 2016 at the Wayback Machine , Berlin, 29 November 1939. ↑ Bishop 2010, pp. 106–107. 1 2 Bungay 2000, pp. 31–33. ↑ Overy 2013, pp. 68–69. ↑ Murray, Williamson & Millet, Alan A War To Be Won (Harvard: Belknap Press, 2000), p.66. ↑ Murray & Millet, p.84. ↑ Bungay 2000, pp. 9–13. ↑ Murray 2002, pp. 44–45. ↑ Bungay 2000, p. 110. 1 2 Bungay 2000, pp. 110–111. 1 2 Bungay 2000, p. 111. ↑ Bishop 2010, pp. 105. 1 2 "Directive No. 16 – On preparations for a landing operation against England". Führer Headquarters. 16 July 1940. Archived from the original on 3 March 2016. Retrieved 11 February 2016. ↑ Bungay 2000, pp. 112–113. 1 2 Bungay 2000, p. 113. ↑ Burdick and Jacobsen 1988, p. 255. ↑ Bungay 2000, pp. 113–114. ↑ "Directive No. 17 – For the conduct of air and sea warfare against England". Führer Headquarters. 1 August 1940. Archived from the original on 3 March 2016. Retrieved 11 February 2016. ↑ Bungay 2000, p. 114. ↑ Collier 1962, pp. 219-220. ↑ "Operation Sea Lion". Historical Society of German Military History – Historische Gesellschaft der deutschen Militärgeschichte. 13 February 2018. Archived from the original on 7 March 2018. Retrieved 7 March 2018. ↑ Wood and Dempster 2003, pp. 212–213. ↑ Bungay 2000, pp. 368–369. ↑ Hooton 2010, p. 80. ↑ Corum 1997, pp. 283–284. ↑ World War II: Crucible of the Contemporary World : Commentary and Readings – Google Books. Books.google.co.uk. Retrieved 8 April 2013. ↑ Larew 1992, pp. 245–247. ↑ Macksey, Kenneth, Beda Fomm: The Classic Victory, p. 35. Ballantine, New York, 1971. ↑ Dönitz 1958 (1997 edition), p. 114. ↑ Raeder 2001, pp. 324–325. ↑ Evans & Mcgeoch 2014, pp. 87–88. ↑ Alderney at War. Brian Bonnard. 1993. ISBN 0-7509-0343-0. pp106-108. Alan Sutton Publishing. ↑ "German Weapons – Operation Sealion (Seelöwe) – The German Invasion of Britain 1940". littlewars.se. Archived from the original on 28 April 2018. Retrieved 28 April 2018. ↑ Peter Fleming says on page 229 that the number of horses was reduced to 4,200 for the first wave (466 per division) and 7,000 for the second wave. ↑ "M M Evans, Invasion! : Operation Sea Lion, 1940, p. 181; "German Airborne Troops" by Roger Edwards (1974) p. 32"
↑ Shears, David. Operation Sealion, p.162. ↑ Booth, Owen, and Walton, John. The Illustrated History of World War II (1998), p.70. ↑ Rob Wheeler, Rob Wheeler, ed. German Invasion Plans for the British Isles 1940 (Bodleian Library 2007), p.9. ↑ "Hitler planned to halt invasion at Northampton". Northampton Chronicle & Echo . Johnston Press. 28 September 2007. Archived from the original on 22 February 2014. Retrieved 27 June 2013. 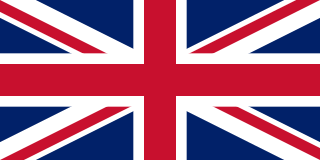 ↑ "Next Week May See Nazis Attempt British Invasion". St. Petersburg Times. 3 August 1940. p. 1. Retrieved 26 November 2011. ↑ Bishop 2010, pp. 70–71. ↑ John Colville, The Fringes of Power (1986), diary notes on Churchill's 11 July meetings; in Michael I. Handel (12 November 2012). War, Strategy and Intelligence. Routledge. p. 221. ISBN 978-1-136-28631-5. He emphasised that the great invasion scare (which we only ceased to deride six weeks ago) is serving a most useful purpose: it is well on the way to providing us with the finest offensive army we have ever possessed and it is keeping every man and woman tuned to a high pitch of readiness. He does not wish the scare to abate therefore, and although personally he doubts whether invasion is a serious menace he intends to give that impression, and to talk about long and dangerous vigils, etc., when he broadcasts on Sunday. ↑ Deighton 1996, p. 51. ↑ Overy 2010, pp. 87–88. ↑ Wright, Gordon (1968). The Ordeal of Total War: 1939–1945. New York: Harper & Row. p. 32. ↑ Shirer 1960, p. 927. ↑ Overy 2010, p. 88. ↑ Bungay 2000, p. 339. ↑ Fleming, Peter.,Invasion 1940 (Readers Union, London, 1958), p. 273. ↑ World at War, pt5, "Alone" (Thames Television 1973). ↑ "History – World Wars: The German Threat to Britain in World War Two". BBC. Archived from the original on 12 November 2012. Retrieved 14 October 2012. ↑ Churchill, Winston, abridged by Denis Kelly. Memoirs of WWII(Bonanza, 1978 ISBN 0-517-27032-3), p.355. ↑ Churchill, Memoirs of WWII, p.345. ↑ Macksey 1990, pp. 144–146. ↑ Deighton, Len (1993). Blood, Tears & Folly. Jonathan Cape, London. ISBN 0-224-03135-X. ↑ Handbook on German military forces – Google Books. Books.google.co.uk. Retrieved 8 April 2013. ↑ Frenzel, Eike (21 August 2014). "Hitlers Unternehmen "Seelöwe": Invasion der Amateure" [Hitler's Operation "Sea Lion": Invasion of Amateurs]. Der Spiegel (in German). Hamburg: Spiegel-Verlag. Archived from the original on 21 August 2014. Retrieved 21 August 2014. ↑ The Sandhurst wargame was fictionalised in Richard Cox (ed. ), Operation Sea Lion (London: Thornton Cox, 1974. ISBN 0-902726-17-X). An analysis by F-K von Plehwe, "Operation Sea Lion 1940", was published in the Journal of the Royal United Services Institution, March 1973. ↑ Lampe & Sheffield (2007). The Last Ditch: Britain's Secret Resistance and the Nazi Invasion Plan. Books.google.fi. 15 March 2007. Retrieved 8 April 2013. ↑ Mazower, Mark (2008). Hitler's Empire: How the Nazis ruled Europe, p. 109. The Penguin Press, New York. 1 2 3 Fleming (1957), pp. 260–261. Bungay, Stephen (2000). The Most Dangerous Enemy : A History of the Battle of Britain. London: Aurum Press. ISBN 1-85410-721-6. (hardcover), 2002, ISBN 1-85410-801-8 (paperback). Deighton, Len (1996). Fighter: The True Story of the Battle of Britain . London: Pimlico. ISBN 0-7126-7423-3. (Originally published: London: Jonathan Cape, 1977.) ISBN 0-7126-7423-3. Dönitz, Karl. Ten years and Twenty Days. New York: Da Capo Press, First Da Capo Edition, 1997. ISBN 0-306-80764-5. Evans, Martin Marix; Mcgeoch, Angus (10 July 2014). Invasion! : Operation Sea Lion, 1940. Taylor & Francis. ISBN 978-1-317-86827-9. Kieser, Egbert (1987). Cassell Military Classics: Operation Sea Lion: The German Plan To Invade Britain, 1940. Sterling. ISBN 0-304-35208-X. Overy, Richard (2010). The Battle of Britain : Myth and Reality. London: Penguin. ISBN 978-1-84614-356-4. Overy, Richard J. (2013). The Bombing War : Europe 1939–1945. London & New York: Allen Lane. ISBN 978-0-7139-9561-9. Raeder, Erich. Erich Rader, Grand Admiral: The Personal Memoir of the Commander in Chief of the German Navy From 1935 Until His Final Break With Hitler in 1943. New York: Da Capo Press. United States Naval Institute, 2001. ISBN 0-306-80962-1. Schenk, Peter (1990). Invasion of England 1940: The Planning of Operation Sealion. Conway Maritime Press. ISBN 0-85177-548-9. Shirer, William L. (1960). The Rise and Fall of the Third Reich . Simon and Schuster, New York. Wikimedia Commons has media related to Operation Seelöwe .